Mark Joseph Fancalski, 58, of Weirton, WV died Saturday July 7, 2018, at the Valley Hospice Care Center North, in Steubenville, OH, after an eight year battle against multiple myeloma. His loving family was at his side. Born on September 19, 1959, in Weirton, WV, Mark was a son of Joseph and Connie Wenzel Fancalski of Weirton. He was preceded in death by his grandparents, Joseph and Margaret Fancalski, Harry and Mildred Wenzel; and his brother in law, Bobby Dodd. Mark graduated from Weir High School in 1977. After graduation, he worked at Weirton Steel Corporation. 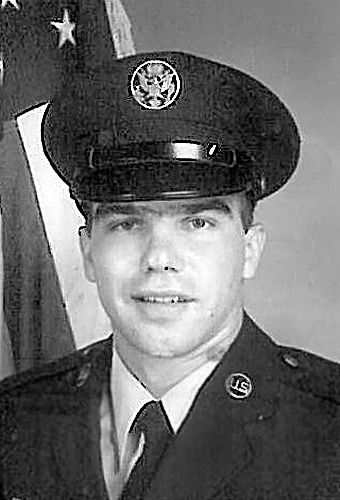 In 1983 Mark joined the United States Air Force and served four years in active duty. When he returned to Weirton, he continued his career at Weirton Steel before getting laid off. He then moved to Myrtle Beach, SC, for six years, eventually returning home to work for Crown Industries. When he was not working, Mark loved to golf, and would often golf with his friends at Woodview Mountaineer Golf Course, where he recorded a hole-in-one. His other favorite pastimes included working on his cars and his beloved Jeep, playing on his computer, and fishing. In fact, Mark was once featured on a fishing television show, while he was stationed in Cheyenne, WY. Mark was a member of the Paris Sportsman’s Club. He will be remembered with love by his parents, Joseph and Connie Fancalski; his brother, Thomas Fancalski; his sisters, Michaele Dodd and Christina (Gregg) Hammond all of Weirton, WV; his nieces, and nephews, Jason and Danielle Henwood, Dominic and Maria Notni and Joshua and Tyler Kirkpatrick. Per Mark’s request visitation will be private at the Greco Hertnick Funeral Home 3219 Main Street Weirton, WV. Mark and his family would like to thank the staffs of Tony Teramana Cancer Center and Valley Hospice and especially Dr. Dennis Meisner, for the love and care they gave to him during his battle with multiple myeloma. Share tributes and memories at www.grecohertnick.com 304 748 3219.